Despite many predictions to the contrary it is acknowledged that fax will remain a major medium for business communication for many years to come. In addition many companies are migrating to Voice over IP technology to meet their telephony needs. This naturally implies a need to also provide the fax service via IP networks – in short Fax over IP (FoIP). Today this technology has reached a degree of maturity such that it can provide the same service levels as traditional fax connections through the Public Switched Telephone Network (PSTN). 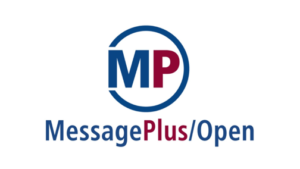 MessagePlus/Open provides FoIP connectivity based purely on a software solution thus avoiding the need to install any fax boards. In addition it achieves the same high level of performance, reliability, and scalability as traditional fax board based solutions. If you are considering migrating your fax traffic to an IP based network now or in future MessagePlus/Open provides you with advanced technology, interoperability and investment protection. All major protocols recommended by the Internet Engineering Task Force (IETF) and the standards of the International Telecommunication Union (ITU) are fully supported and extensively tested. FoIP in conjunction with MessagePlus/Open is compatible with all major suppliers of the IP equipment including CISCO, Avaya, Alcatel, or Quitum.